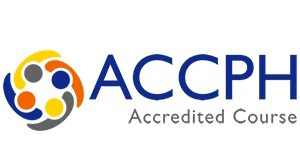 This Fully Accredited Diploma Level 4 (Accredited by the ACCPH) EMDR Specialist Training is over 6 days 9.00-4.30. Eye Movement Desensitisation and Reprocessing is a trauma therapy developed by psychologist Dr. Francine Shapiro. Dr. Francine Shapiro made the chance observation that eye movements can reduce the intensity of the upsetting thoughts when she noticed her own stress reactions reduced when her eyes swept back and forth as she walked through a park one day. Eye Movement Desensitisation & Reprocessing (EMDR) Therapy is an evidence-based therapy for (PTSD) Post-Traumatic Stress Disorder, psychological trauma and other varying mental health issues. Eye Movement Desensitisation and Reprocessing encompasses evoking a stressful past event and “reprogramming” the memory in the light of a positive, self-chosen belief, while using rapid eye movements to facilitate the process. Theories as to why it works are still evolving, but many people have found EMDR to be extremely beneficial. The World Health Organisation (WHO) has recognised EMDR for the treatment of PTSD in adults and children. It has been recognised through scientific evidence that proves its effectiveness. EMDR Eye Movement Desensitisation and Reprocessing is a valuable tool that will help you to help remove the effects of trauma from your clients lives. EMDR therapy benefits all types of trauma victims. It can be used to address chronic and multiple traumas. It can restore your clients back to full emotional health and fulfilment. Spaces for this training is limited. All training includes all course materials, refreshments and lunch.